Would F1 be better off with different owners? 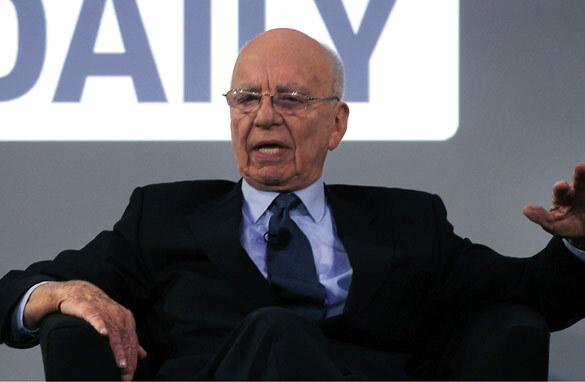 Rupert Murdoch is part of a consortium looking to buy F1, but would change be good for the sport? It doesn’t seem to matter who is running Formula One, the sport is practically a license to print money. But would the team owners, mechanics, drivers and fans be better off if someone else was in charge? One group of investors seems to think so. Last year, the Formula One Administration reported that its annual sales had risen to over $1 billion and its popularity only seems to be increasing. The action so far this season has been gripping, there are five world champions now competing for the title and new tracks are being built in India, Russia and the U.S.
It’s not hard to see why it would be an attractive investment but, if it’s not for sale, it’s a moot point. That’s the position of CVC Capital Partners, one of the world’s largest private equity firms and the current owners of Formula One. They have acknowledged an approach from the Exor News Corporation Consortium that is “friendly and at a preliminary stage”, but note that F1 is not currently on the market. Of course, anyone in business knows that everyone has a price and the friendly approach and cordial rebuff leaves room for negotiation in the future. But it may well transpire that this is a strategic maneuver and the names behind the approach have an ulterior motive. While F1 is a cash cow, not everyone thinks they’re getting a fair slice of the pie. Many feel that team sponsors are under-exposed and therefore short-changed. Additionally, it is argued, CVC takes revenue without re-investing in the sport. This particularly needles the F1’s longest-standing patron - Ferrari, who are also concerned they are going to be forced to develop technology they cannot ultimately use in their road cars. It just so happens that one of the names behind the consortium is Agnelli, a powerful industrial dynastic family that backs Ferrari. It also just so happens that the deal which ties Ferrari and the other eleven F1 teams to CVC - the Concorde agreement - is up for renegotiation at the end of next year. Should a solid bid ever materialize, there are reasons to think it wouldn’t get very far. Remember, the European Commission blocked NewsCorp’s purchase of Manchester United and this purchase would be for 12 teams, not just one. Additionally, why would the other eleven teams want to race in a series controlled by one of their rivals, Ferrari? But they might be interested in going along with it if it gives them all a bit more leverage at the negotiating table next year. Abraham Lincoln said that you can’t please all of the people all of the time, but who’s to say that there isn’t a better way of doing business than the current F1 model? It’s a debate that could well have a few more laps to run. Hope Rupert Murdoch didn't have intend to "steal f1", don't steal other people hard work.. If F1 is sold to Newscorp, it will be the dawn of Pay-Per-View and bye bye to global audience. Bernie needs to tread carefully here and resist underestimating the fans opinions. Or dare I say it, their power. Murdoch would continue the current regime's Thatcherite approach to milking F1 as a source of high-profit bread and circuses. Not an improvement. Might be time for the constructors to set up an alternate circuit though and be done with these folks. It wasn't enough he created fox news to mess with the heads of Americans. Now he's going to mess up the worlds greatest event? I don't see it happening, but if it did get it, it would kill the little interest left in the sport. Oh please God no... this creature already controls/distorts the media... now he's going to ruin our favourite sport!!! Murdoch run F1? No way. Bernie Ecclestone may be a b*****, but at least he's our b*****.